Apartment in Palermo Soho, Buenos Aires - Cobblestone ! 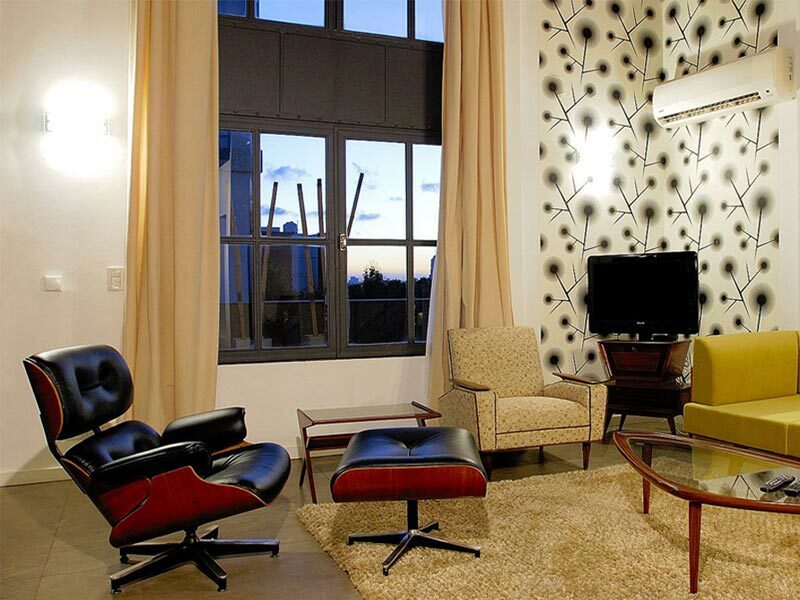 1080 square feet triplex apartment in Palermo Soho with private courtyard, terrace and barbeque. In the heart of Palermo Soho you will find this triplex house for rent in Buenos Aires. Close to Plaza Armenia and Plaza Serrano, the two most fashionable squares in Soho, located on a tree lined cobblestone street. This property features a comfortable living room that opens out onto a wooden decked area, in turn, leading down to the courtyard garden. A separate dining room with its own small patio and well equipped kitchen complete the ground floor. These individual rooms work together to create a great living space. On the first floor, you will find the two bedrooms. The ensuite master bedroom with a queen size bed, and the second bedroom with its own bathroom. The bed in the second bedroom can be easily split into two singles if needed. On the second floor you will reach the rooftop terrace, with stone built barbeque and outdoor shower area. A great place to entertain on a warm Summer’s day.